THE RMT has called a new strike on Southern in the continuing dispute over train staffing, which will be two years old in April. Southern said the action, called for 12 March, was ‘pointless’. The union said its action had been caused by ‘the failure of both the Government and GTR to make any serious efforts to resolve the dispute’. It is continuing to oppose changes to the responsibilities of the second staff member on board Southern trains, who no longer controls the doors or train despatch and is now known as an on-board supervisor rather than a conductor or guard. Southern describes this method of working as DCO, or driver-controlled operation. The union is also opposing related changes at other operators, some of whom who intend to introduce full driver-only operation, or DOO. The union says DCO and DOO both put safety at risk, a claim which the regulator and wider industry has rejected. General secretary Mick Cash said: “RMT is bitterly disappointed that Southern rail and the DFT continue to reject our call for round table discussions involving all parties with an interest in resolving this dispute. “RMT pays tribute to our Southern rail guards and drivers who have stood firm for nearly two years now in the fight for rail safety despite outrageous abuse and intimidation from the company. They are a credit to their communities and to the whole trade union movement as they continue to take action for safety in Britain’s longest running industrial dispute. Southern said the walkout would make ‘little difference’. 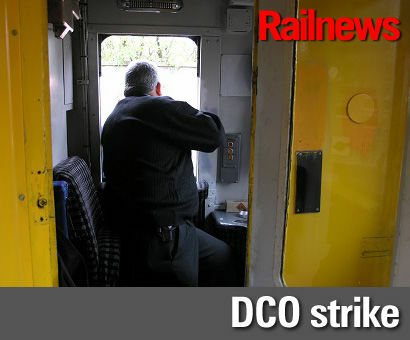 Meanwhile, the RMT is also staging further strikes on 3 March over DOO/DCO proposals on Merseyrail and Northern, and services are expected to be seriously disrupted by the walkout. On Merseyrail, there will be no services between Hunts Cross and Liverpool Central, Ellesmere Port and Hooton, Chester and Hooton, Kirkby and Liverpool Central, and Ormskirk and Maghull. Northern has warned that its services are likely to run only between 07.00 and 19.00 on 3 March, and that even then the timetables will be sharply reduced, with 50 per cent of services set to be cancelled.